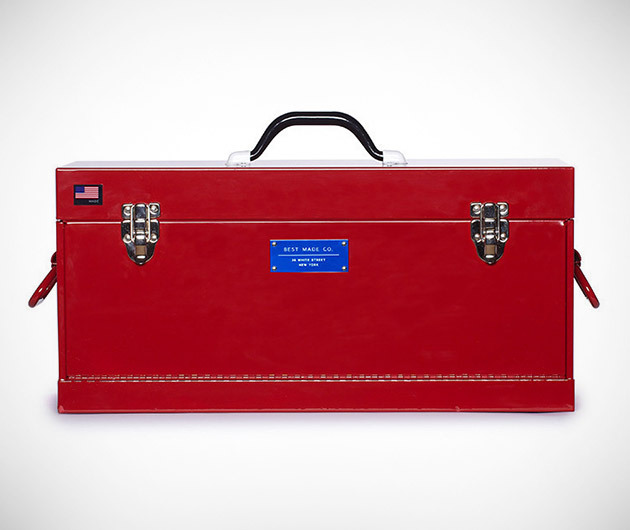 Handmade, hand-spot welded, powder coated and heavy, heavy duty, it may well literally be the Best Made Front Loading Toolbox. Forged in conjunction with a legendary US metal fabricator with over 50 years' experience, it has been designed with a front loading door that allows easy access to your array of tools without having to mess about relocating the top tray as with standard boxes. All finished in a splendid gloss Ferrari-like red.